suite 101, in downtown San Luis Obispo. For more information, go to ciderbarslo.com or find the business on Facebook. Kevin Mclaughlin isn't afraid to raise a few eyebrows. In fact, that's how he knows he's onto something really good. 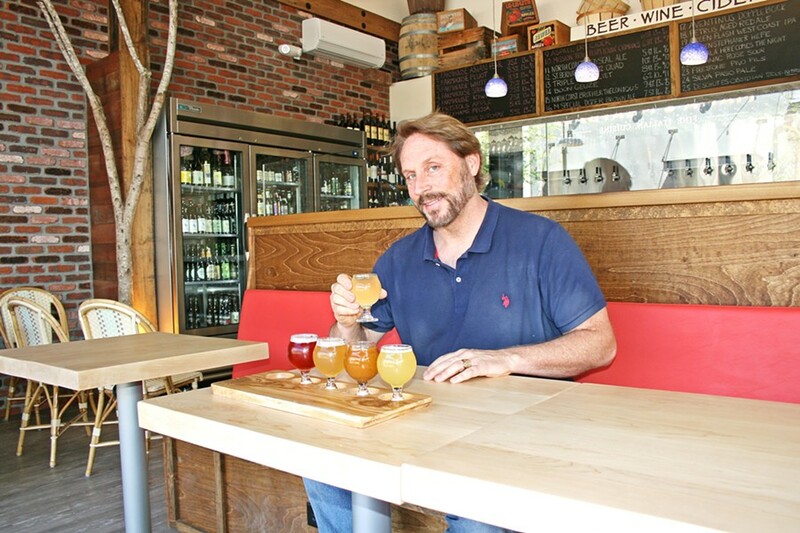 Just sit down at his new haunt, Cider Bar, and taste through a colorful lineup of his wild Farmhouse fruit ciders. You'll learn quick, like I did. These nuanced ciders are not made from apples. FRESH PICKED Sip a colorful, crisp tasting flight of unique fruit ciders at Cider Bar, located within the revamped Creamery in SLO. From left to right, Farmhouse kiwi, strawberry, white peach, pluot, and Asian pear, all fermented by Cider Bar owner Kevin Mclaughlin. Instead, they are a nod to unlikely kiwi, pear, strawberry, and peach fermentations. Surprisingly innovative and each with its own rustic character, they range from slightly tart to crisp to decadently juicy. One might give off a whiff of bacon fat or a jolt of citrus or the pure, seasonal lushness of a perfectly ripe peach. All go down easy. What can I say? These ciders are remarkably food friendly, like good wine. Mclaughlin, a winemaker-turned-cidermaker, is fanatical, if nothing else. He has great attention to detail and he loves to stir the pot. Or the fermentation tank, that is. 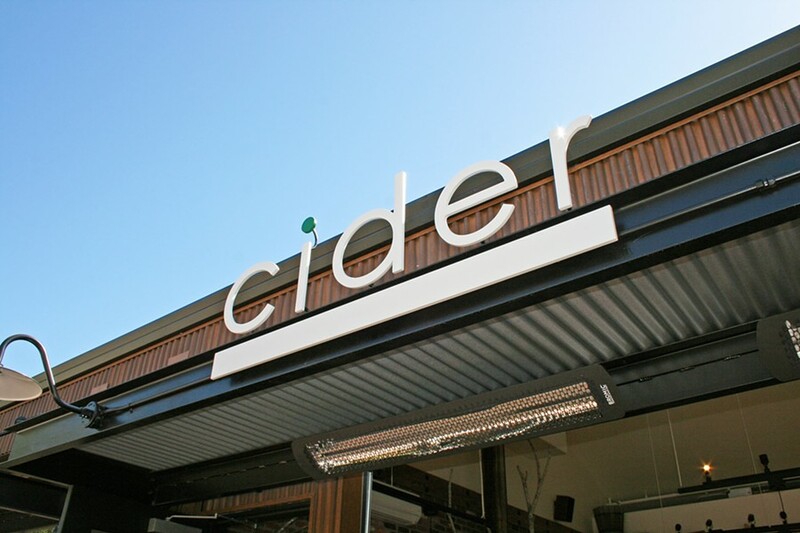 I visited Cider Bar, located in the heart of the newly revamped SLO Creamery, on a sunny weekday. The bar had just opened at 4 p.m., and folks were already relaxing on seafoam-colored barstools and the coral booths facing the Creamery's scenic courtyard, formerly a parking lot. As I sipped a beautiful ruby red cider made from fermented pluots, I was struck by how different—how punk rock—this approach feels when compared to SLO County's available cider offerings. 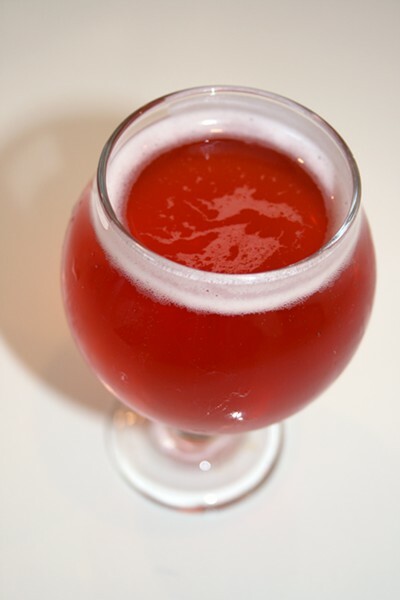 "It looked like someone had been murdered inside the tank," Mclaughlin said of his first batch of the dark red pluot cider, which he crafted at a shared custom crush facility. "We got a bit of a reputation after that. No one wanted us to borrow their gear." Of course, Mclaughlin's renegade handiwork isn't the only thing on tap—far from it. Here, you can find an insane lineup of 86 wines and 180-plus beers and ciders from around the county, state, and world. A rather saucy small plates menu executed by chef Nick Deshon—featuring Maryland blue crab balls with lemon and aioli and something called "the bikini sandwich" (mozzarella, manchengo, truffle aioli, and serrano ham)—reflect a hip, Europe-meets-East Coast vibe. WHERE THE WILD THINGS BAR Cider Bar Owner Kevin Mclaughlin (right) aimed to create a "country French café feel" at his new haunt, located within the SLO Creamery. Here, you can sip from dozens of apple ciders, fruit ciders, beer, and wine options accompanied by small plates like braised short ribs, spicy pickled carrots, and charcuterie imported from Spain and France. With help from his business partner, builder Roy Bruder, the duo has brought something a little new to SLO. This is a breezy café fit for a foodie Francophile or an everyday Joe seeking a local pint. "It's fun and easy. We just roll the door up and everyone flies in," Mclaughlin said of the roll-up door, which allows for maximum people-watching opportunity. The partners met thanks to Mclaughlin's former job tending bar a few doors down at Spike's Pub. Bruder would order a dark beer, often a stout, and the two would chat away. The bartender-regular relationship is a beautiful thing, isn't it? "We were brave enough to have some more in-depth conversations than most bartenders and customers rarely dare to partake in," Mclaughlin said with a laugh. "That turned into having a beer at other places and continuing the friendship. He probably never had a cider before we started this." Bruder, who stepped out of semi-retirement to help build and open Cider Bar, said this is "the hardest" he's worked in a while. Still, the excitement written across his face tells volumes. RED DELIGHT This fiery looking red pluot cider (left) available at Cider Bar in SLO is just as delicious as it looks. Dozens of ciders from around the world are on tap alongside small plates, craft beer, and boutique wine offerings. Mclaughlin isn't a bad horse to bet on. A longtime Paso Robles wine industry veteran and life-tested sommelier, he's been making his own wine for some time now. "The recession made me nervous, so I sold the barrels and all that. Still, I had a mind for fermenting," Mclaughlin said. "I just didn't know what to do next." Craft beer had already begun to feel bloated in California some 10 years ago. So, the winemaker went back, as he always does, to his imagination. Something weird was happening. He noticed that droves of people were walking into Spike's and inquiring about cider. "I felt like that was something that was on its way. Bristols was around locally, but there weren't many others," he said. "I was just listening to the marketplace. There was wine and there was beer, but there wasn't a lot of cider. And cider is just a tree fruit wine, if you will." A few months later, Mclaughlin finished up the paperwork and licensing to start his own cider operation. Isn't it funny how the world laughs at your best-laid plans? "I suddenly looked around and there were tons of new cideries popping up. As proven throughout history, we all had the same idea," he said. "Still, I felt like I knew how to do it a little differently." Different? Oh yeah. A microbiologist friend pitched in a hand and the pair got to tinkering. They had talked at length about the unique terroir of sourdough bread and the applications of a wild fermentation—the process of allowing the local environment to dictate what yeast will thrive. Backyard experiments were executed. Pints were consumed. "I knew how to make clean wine but not dirty cider, and he helped with that," Mclaughlin said. "I went to a bunch of wine friends and they were all really nervous about what I was doing. Every piece of fruit in the world has wild yeast and bacteria on it, but most winemakers are not excited to mess with that. For some reason, I had this weird desire to do the pluot first." And so, Mclaughlin did something weird; crushing the whole fruit and pumping the blood-red flesh into open-top fermenters. While most cidermakers would press off the juice immediately, bringing the liquid to a stable, covered environment, Mclaughlin mingled the juice with the skins, as if he was making a red wine. "It keeps all those wild things in there," Mclaughlin said, adding that he doesn't care to filter his finished product after its time aging in neutral oak barrels. The result is a bit hazy, a bit unpredictable, yet full of character. "I want it to taste like all those European ciders we have in our icebox here at Cider Bar, sourced from Spain or France, or Great Britain," Mclaughlin said. "Right away, like everything I do, I had my own idea about how to go about doing that." 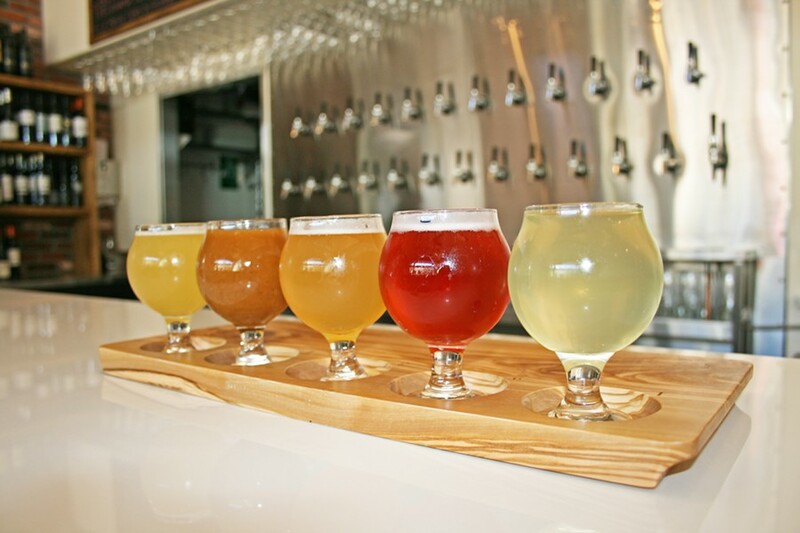 Good news for Cider Bar: The Farmouse tasting flights are super popular, although plenty come in for local and worldwide beer, apple cider, and wine offerings off the beaten path. Nothing could be more rewarding than seeing a wild risk pay off. Mclaughlin recalled the first days fermenting that first batch of pluot, and the inordinate amount of eye rolls he received from passersby. Hayley Thomas Cain cannot color within the lines. She can be reached at hthomas@newtimesslo.com.